We work with the best brands in the industry! A strong and impressive gate has lots of benefits to offer both residential homes and commercial properties. In terms of security, being able to control who gets in or out of your property is paramount. New modern intercom systems can allow you to communicate with visitors without being anywhere nearby. There's also the curb appeal aspect, as your driveway gate will be the first thing customers or guests lay their eyes on when they reach your property, and you'll probably want to make a good impression. There are all sorts of materials that your new gate can be made of, and each one has different attributes. Wood gives off a homey cozy feeling, and it holds a certain classic heartland appeal that's hard to beat. Wrought iron gates are famous for their ornate design and inspiring luxurious vibe, so if you want to add a touch of high-class to your business, nothing beats that. Steel gates are excellent for those seeking to add not just security to their property, but some added privacy as well. Of course, maintenance is a factor when choosing the material your new gate will be made of. Wood and wrought iron need regular repainting to stay impressive and structurally sound. Steel requires less frequent maintenance, but it is heavier and bulkier, and needs more horsepower in order to be moved. This means your electric gate opener will need to be able to handle it. 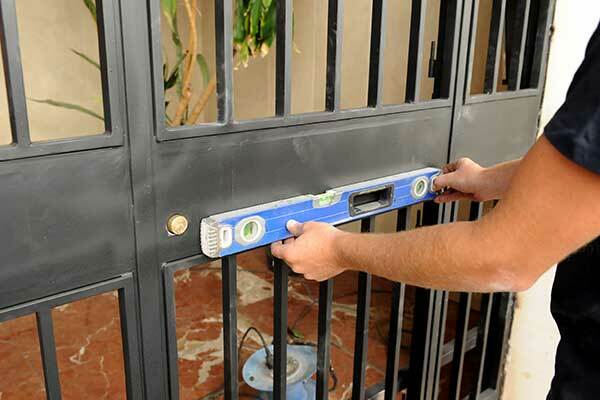 The decision ultimately depends on what you're looking to get out of your new gate, and how willing are you to undertake the necessary maintenance in order to ensure it lasts. Apart from what they're made of, driveway gates differ in the way they work. The two main types are a swing gate, which moves like a normal door, swinging inwards or outwards depending on how it's installed. This type of system requires space to move, naturally, so if that's a particular limitation, you may want to go with a sliding gate. This type of mechanism moves in a lateral fashion, meaning it slides across the width of your driveway like a moving barrier. Some prefer one type over the other because they prefer the appearance of one type of movement over the other, but if the required space is something you don't have, then the choice becomes a lot easier. There's no need for you to start deliberating and contemplating for days upon days. 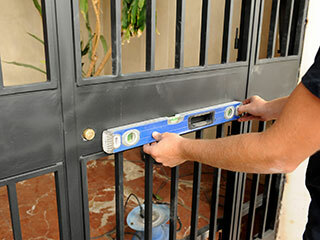 One call to our experts at Gate Repair Thousand Oaks and you'll get all the answers you want. In fact, our team can even create a completely custom made system for you from scratch. You just tell us your preferences and design styles you like and our pros will take care of the rest.